91 Points / The Wine Advocate - "This opaque purple-colored, muscular, full-bodied, classically made St.-Julien displays impressive concentration, chewy, highly-extracted flavors of black fruits, iron, earth, and spicy wood, and a powerful mouth-feel. A pure, uncompromising, traditionally-styled wine, it is to be admired for its authenticity, class, and quality. Anticipated maturity: 2007-2035." 96 points / Wine Enthusiast - "Right from the early days of tasting in spring 2001, this was going to be one of the stars of the vintage. And a star it remains. There is big, ripe fruit, with solid, ageworthy tannins. 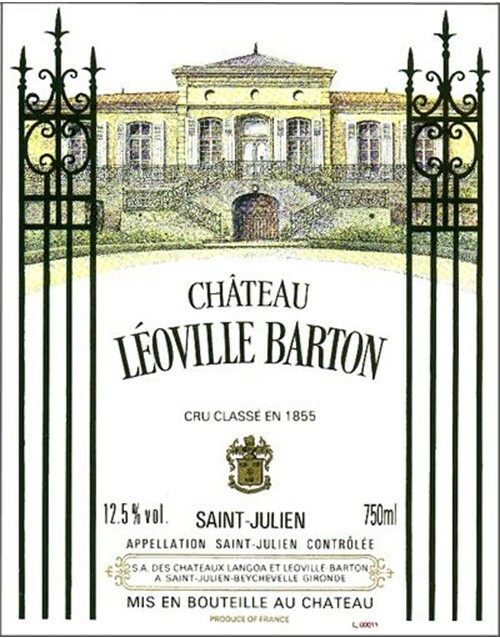 It may not be as powerful as some of the blockbusters of the vintage, but it is certainly more opulent, less classical than Léoville-Barton can sometimes be (6/2003)" 96 points / Wine Spectator - "Take textbook St.-Julien warmed fig, blueberry compote and blackberry reduction notes along with ample graphite, bramble and tobacco flavors, then dial it up a notch. This has terrific energy to offset the admirable depth and length, and hasn't even started a second phase yet. One of the stars of the vintage.—2000 Bordeaux blind retrospective (December 2015). Best from 2018 through 2033 (JM, Web-2016)." 92 Points / Wine Spectator "Gorgeous aromas of crushed blackberries and flowers. Medium- to full-bodied, with well-knit tannins and a silky, caressing palate. Long. This is a wonderful wine. Lots of finesse". 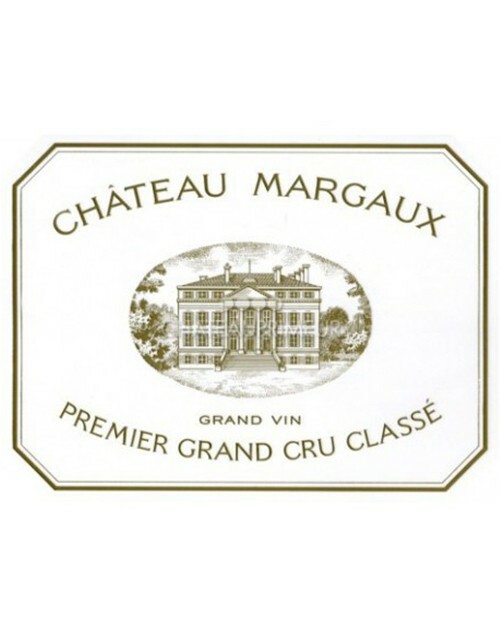 93 points / Robert Parker's Wine Advocate - "The 1978 Chateau Margaux is a significant wine for two reasons: that is was the first under the Mentzelopoulos family after acquiring the property and also, it was their best wine in many years. Today it is still going strong. Clear in color, it has quite a deep garnet core. The nose is very seductive with black fruit, leather, scorched earth, a hint of lavender all beautifully defined and quintessentially Margaux. The medium-bodied palate has exquisite balance, the acidity nicely judged, still a little masculine and 'solid' compared to the subsequent vintages under Paul Pontallier, yet fresh and vital. Sure, there is a grittiness and a touch of rusticity towards the finish, but all in all, this represents a great 1978 Left Bank and a signpost that the First Growth was back on the right track after a dismal run of vintages during the 1970s. Tasted May 2016 (NM, 10/2016)"
95 points / Wine Spectator - "This has both sinew and flesh, with taut dried red currant, blackberry and plum skin notes that are forced to expand outward as the core of black tea, charcoal, plum paste and dark humus fills in quickly behind them. The charcoal-tinged grip carries the finish, with more bass than treble at first, but there's perfume here as well. Seriously long and the most overlooked of the truly great vintages here. Drink now through 2025 (JM, Web—2014)." 97 points / Wine Spectator - "This is about as alluring as it gets aromatically, with singed alder, juniper, bay and charcoal notes out front, hinting at power but turning beguiling as they flow into the core of steeped red currant, dried currant and black tea. The charcoal note makes an encore, with a lovely twinge of old-school character holding the finish. Always a great debate vis-à-vis the '90, but the slightly darker profile here gives this wine a lovely bit of extra drama (JM, Web-2014)." 97 points / Wine Spectator - "This still broods seriously, with dark plum, currant and blackberry fruit, studded with charcoal, singed tobacco and cedar notes and backed by a serious grip of roasted earth. The gorgeously long finish is driven by old-school tannins, with the smoldering edge going on and on. A brick house of a Margaux, with more charcoal than graphite, more austerity than elegance and more power than refinement."